As we at Fly Cape Town Paragliding continue with our enthralling paragliding Cape Town experiences over what has been a delightful journey so far, a belief which we have always held  that only ends up being reinforced over and over again, is the fact that paragliding concerns as such only lie in the minds of patrons. Otherwise, when one looks at paragliding as an adventure sport, it remains one of the safest options among the choices available. 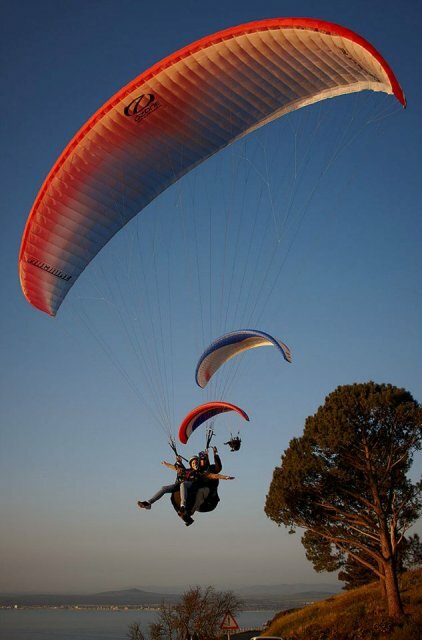 As an example, if you look at the kind of paragliding equipment supporting you, there are as many as 30 different lines alone that amply support your weight with finesse. Accordingly, if we are to match notes with comparable sports such as hang-gliding, paragliding actually comes across as far safer and much more comfortable. After all, if you look at the harnesses that comprise contemporary paragliding paraphernalia, you will find that the combined experience is akin to lazy lounging! This is clearly unlike hang-gliders where the entire wing structure is far less pliant, with an added disadvantage of flying that much faster as compared to paragliding, where true to its name, you glide through the skies! Moreover, as we have mentioned in our post Age No Bar for Paragliding folks from all age groups can paraglide, that too without any compulsion of prior experience or expertise. This is again unlike a lot of other comparable adventure sports where it is recommended (if not mandatory) that there is prior experience as well as a certain degree of expertise in the same. All of this clearly reiterates and reaffirms the point that we are making in this post, which is that concerns around paragliding as seen among patrons, lie almost entirely in their minds alone and not in reality. Therefore, proficient paragliding demands that you let go of reservations you might be holding in your mind and strive towards basking in the glory of the experience as it unfurls in front of you. Remember that the enchanting views of Cape Town, as you sail through the skies after taking off from paragliding Signal Hill or paragliding Lions Head vantage points, would be suitably captured on film (again scope for cross linking to post 5 supplied earlier), whether pictures or videos, for which we make all necessary provisions. Then why allow concerns about the paragliding experience linger on in your mind, especially when you have the experts at Fly Cape Town Paragliding ensuring a smooth sail (quite literally!) right through?